Planning the reception dinner menu can be one of the hardest parts of wedding planning. Between deciding on the appetizer, soup or salad and the entree, let alone what desserts to have can make your head spin! Likewise, deciding on what kind of bar to have can be just as daunting. Open bars are great for your guests, but they can be expensive. A cash bar may seem cheap and a dry wedding maybe off-putting to some guests. So . . . what is a bride to do? As you will see, having an open or cash bar or a dry wedding is more than just about money. An open bar is usually preferred because it is seen as a reflection of the couple’s hospitality. With an open bar guests can refresh their drinks freely, can have what they like, when they like and they don’t have to fumble with cash, find an ATM or be left out because they don’t have any money. However, a open bar can have some draw backs with the first being the cost. It can be very expensive, especially if you are having a large wedding. Another draw back is that open bars can encourage guests to get . . . beyond tipsy. 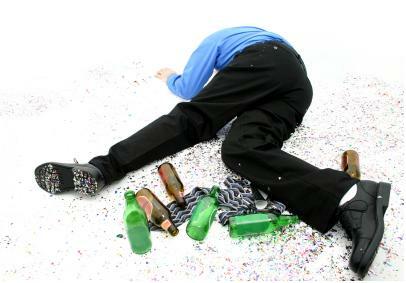 We’ve all heard the stories or seen the sit-com of the drunk individual at the wedding. Usually it’s the best man, or the MC, or an uncle, who is too drunk to say their speech. I’ve been to weddings where the grandmother of the groom had a bit too much and started singing songs from the homeland or the divorced parents of the bride, in their inebriated state, compete for the microphone to say things about their daughter. Very awkward! A drink or two can really get guests into a festive mood and get people up dancing and having a great time. But, drunk guests, making fools of themselves, throwing up, trying to convince themselves and everyone else that they can drive home . . . these things can be a real horror! If you are having your wedding reception at a hotel, winery, etc., the bar will be staffed by a bartender. 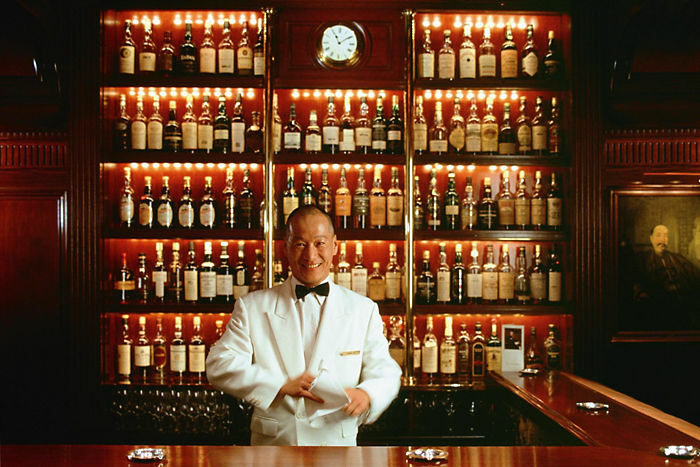 To avoid waste and wasted guests, make sure that there is one bartender for every 50 guests. Consider having a cooling down period for the last half hour of the wedding reception where only non-alcoholic beverages are available – rather than serving alcoholic beverages until the very end of the wedding reception and allowing someone to consume that last “one for the road”. Non alcoholic beverages, including coffee, should be offered until the very end of the wedding reception. Although coffee will not actually sober someone up, it will help to dilute the amount of alcohol in their system, help them metabolize the alcohol faster, and help keep them a bit more alert. Make it clear to your bartenders in advance, that although you want your wedding guests to have a good time, you are equally concerned about their safety. The bartenders should monitor consumption and alert you if a guest has exceeded his/her limit. Be sure to appoint someone from your wedding party to check with the bartenders from time to time about the condition of the guests. Although professional bartenders have the experience to track individual consumption, recognize signs of intoxication and tactfully slow an individual’s consumption when needed, you should take the responsibility for the overall safety of your wedding guests and intervene when necessary. 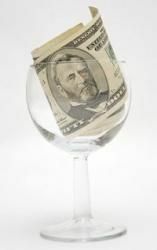 If having a bar with assorted alcoholic beverages is important to you, but the cost is prohibitive, a cash bar can be a great way to save some money. 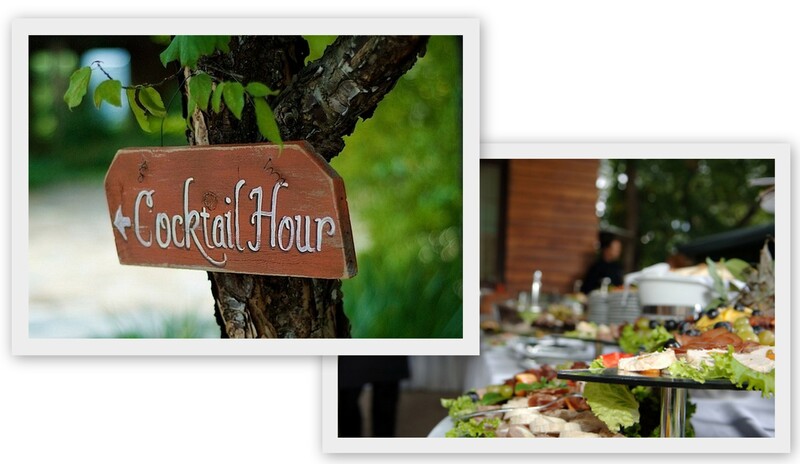 A cash bar can allow you to focus on having more food, or more decorations. However, it will probably make you look cheap, can come off as a bit rude, and can be annoying for guests especially if they don’t come prepared. I, however, usually find people who complain the most about the lack of liquor at a wedding (or any event for that matter) to be big drinkers. If you have a lot of big drinkers coming to your wedding, you may seriously want to go with a open bar. But, if only a few people are big drinkers, consider wine on the tables or a limited cash bar. Tips for a Cash Bar One option is to have an open cocktail hour one hour before the receiving line or dinner begins with a cash bar afterwards. You can supplement this with some wine on the table at dinner. This way you keep the bar expenses down but still offer bar service to those who desire it. Of course, non-alcoholic beverages should be available throughout the reception. Having hors d’oeuvres at an open or cash bar will help to limit the amount of alcohol your guests consume. Another idea is to give two or three free alcoholic drink tickets to each guest. Once these are used up it’s a cash bar. I think it’s important to not be stingy on the tickets, give people two or three, the appropriate amount that people should be drinking in public anyway. Having wine on the table for dinner is important regardless of it being an open or cash bar. Wine is an important part of the dining experience. I feel that pop or juices for dinner just don’t complement the food. 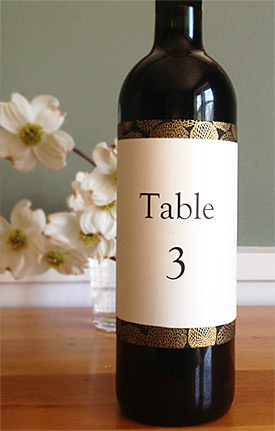 Having some good wine on the table for dinner will make your guests rave about the food and the experience. Two more points on a cash bar. First, there should be no charge for non-alcoholic beverages and, second, check the prices that your location will be charging for a drink. Make sure that the price is reasonable and cheaper than a bar. It’s not fair to expect people to pay “market price” at a wedding, or over the bar price either. If it is going to be expensive, consider paying half towards the bar, that way people should only be paying $3-4 for a drink instead of $5-$10. There are some good reasons to have a dry wedding. The time of day, like a morning or early afternoon wedding; a wedding where you are not having dancing or a late night. Religion may also play a role. If you don’t drink for religious/moral reasons, it’s perfectly acceptable to have a completely dry wedding. By making people aware of your religious beliefs (Muslim/Mormon/Seventh Day Adventist/Baptist, etc.) your guests should not expect you to serve alcohol, just as when you go to a wedding you don’t expect them to not have any alcohol just because you are there. If you simply don’t drink, or don’t like drunk people, I’d go with a cash bar. Your guests might not be the happiest, but this is what you are offering them. If you don’t want any alcohol, consider having the wedding take place at a time when drinking is not socially expected. If you’re getting married at 11 am and having a brunch, most people don’t notice the lack of alcohol. Consider offering some non-alcoholic champagne, other sparkling beverages, or punch for toasting. 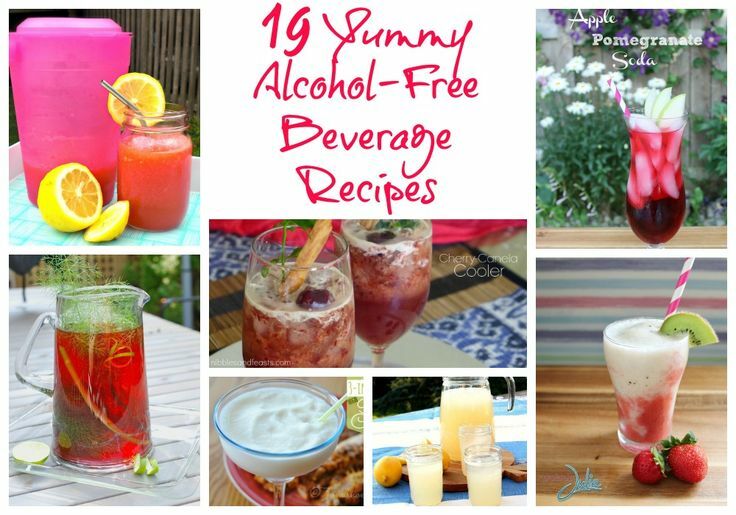 Here is a link to a site with some fabulous alcohol free drinks. If you are not having alcohol, make sure that you wow them in other ways. Have a lot of non-alcoholic drinks besides pop. Have a few different punches, have mocktails available. Make sure there are lots of appetizers and not just four pieces per guest with your guests having to hunt them down. Make sure there is FOOD!!!!! If people are eating, they won’t notice the alcohol situation as much. Don’t keep guests waiting for food to be served. You may want to give them a few hours between the ceremony and the meal if you are having your wedding reception in the evening, so they can go get a drink before dinner. Also, have games, a photo booth, or things to keep them entertained instead of sitting there bored because they are not drinking. As the hostess and host of your wedding, it is your responsibility to make sure your guests are happy, well served and safe. If most of your guests don’t drink, a dry wedding is perfectly acceptable. I would sure love to try some of those non-alcoholic beverages I posted above! Don’t forget to check out our wedding sites. For weddings in the Niagara area go to http://www.niagarafallsweddingworld.com. For location weddings in the Hamilton area go to http://www.hamiltonweddingworld.com. 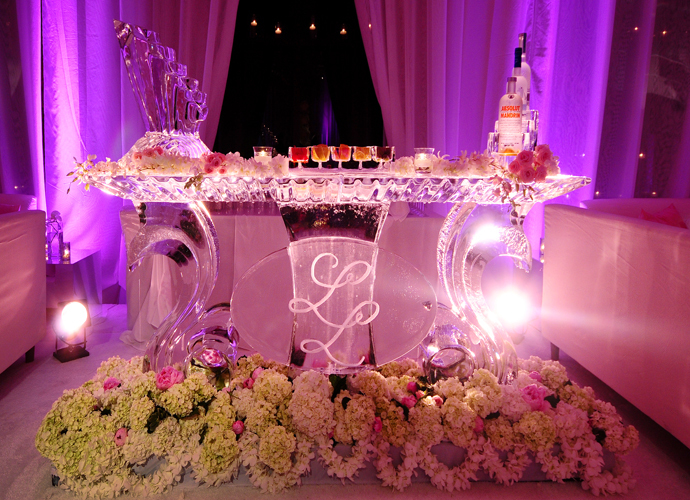 Nothing combines simplicity and elegance at a wedding reception like an ice sculpture. They quickly add sparkle and shine for just about any occasion and at your wedding reception your guests will be quickly drawn to it. Ice sculptures can be as tiny as a shot glass or as large as an entire hotel; strictly for decoration or serving a functional purpose such as keeping punch or salads chilled. This sculpted ice punch bowl is sure to be a conversation piece at your reception! Beautifully created by Struckman Sculpture Ice of Denver, Colorado. How do ice sculptors create such beauty? 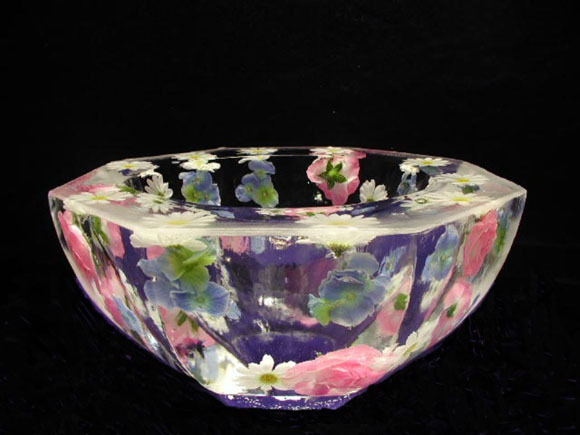 Conditions have to be just right to create this stunning punch bowl by Struckman Sculpture Ice. Both room and water tempteratures are critical and the water must be frozen in a certain way to eliminate any air molecules that will produce cloudy ice. While some creations do call for cloudy ice as an artistic feature, special machines are used to freeze the water to ensure clarity. Colour can be added to any sculpture through a variety of ways. This piece would be stunning in a darkened room. 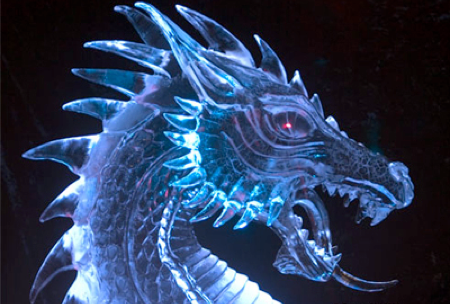 Learn the secrets at Ice Carving Secrets. An ice sculpture of two hearts with your names carved on them can add the final touch to your wedding venue. However, if you are planning a theme wedding consider using an ice scupture to tie your theme together. Whatever your theme you can probably find a mold or artist to create a sculpture for you – old fashioned cars, butterflies or other insects, tropical fish, or a dragon like the photo above. You could even have a miniature castle, Cinderella’s carriage or Beauty and the Beast dancing on a table top! Consider bouquets of flowers made for each of your tables. You can even have your ice coloured to match your wedding scheme or shine lights on the ice sculpture to reflect your colours. 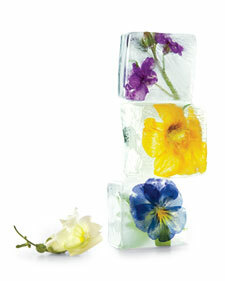 Brighten up your drinks with beautiful flowers suspended in ice. Use edible flowers such as nasturtium, pansies, rose petals, orchids or snapdragons. Make sure you use chemical free flowers that have been grown to be consumed. Lots of ideas at Martha Stewart. Don’t stop at icecubes! Slippery Brick has shooter molds with all kinds of cool applications. While you don’t want to fill a shooter glass made from ice with warm alcohol (no flaming sambuca!) 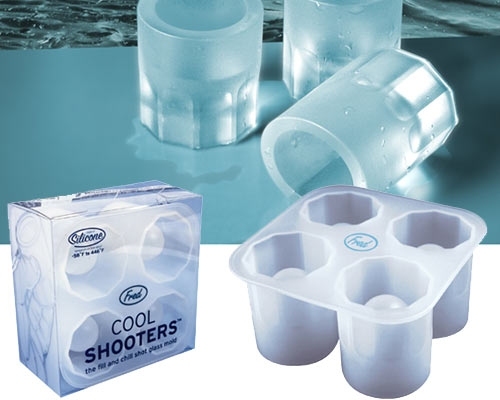 you can drop these ice shooters into another drink for additional flavour as they melt or flavour the shooter before freezing for yummy combinations. You can find shot glass molds at places like souvenier shops or Spencer’s Gifts located throughout Southern Ontario and online. Speaking of drinks, if you want to go all out consider a bar made from ice with drinks chilling right on the bar. With prices ranging from $1600-$2000 it’s more affordable than you might think. Frozen Memories Ice Studio in Calgary, Alberta has some great ice bar designs. Like other wedding arrangements the more time you can give your sculptor the better although most seem to be able to create an ice sculpture with a little over a week’s notice. Check out all fees including delivery, set up, take down, lights etc. I hope this inspired you to consider adding some chill to your wedding reception! A relatively affordable way to incorporate your wedding theme, colours, or individuality. And for the DIYer’s there are many ice applications that are easy enough to do. If you have suggestions for more chilling wedding ideas or pictures of how you incorporated ice at your wedding reception, please send a comment! I’d love to hear from you!